The Ambassador Inn Hotel is located in Milwaukee (WI) making it one of the best hotels to stay at while in town. 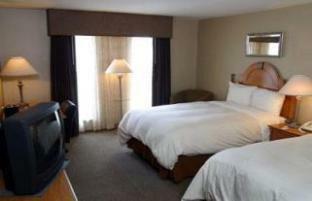 The Ambassador Inn Hotel boasts a convenient location with modern amenities in every guestroom and superb service. Each guestroom is tastefully appointed with non smoking rooms, desk, hair dryer, internet access (wireless), internet access, ironing board, television, separate shower and tub. The amenities and services offered at this Milwaukee (WI) accommodation include shops, coffee shop, laundry service/dry cleaning, meeting facilities, restaurant, business center. For guests to unwind, the hotel offers a variety of facilities and services including gym. Modern comfort and convenience are seamlessly combined to ensure the guests' satisfaction. This hotel is characterized by a combination of modern comfort and traditional element of Milwaukee (WI), making it a distinct accommodation. To book a room at the Ambassador Inn Hotel, please select your dates of travel and complete fill out our secure online booking form.